NOTE: The Daylite Hiker has a wider toe box than conventional women's shoes. If your feet are particularly wide, consider the Men's Daylite Hiker. Just make sure to adjust the size by 1.5 (for example, a men's 8 is the same length as a women's 9.5). The Daylite Hiker runs small. We recommend choosing 1 full size larger than your usual size. Most of your hikes don’t need a big, stiff, heavy, technical hiking boot. Natural MOTION – Your feet are supposed to bend and flex and move. The DayLite Hiker is super flexible to let them do that. The low-to-the-ground design is perfect for balance and agility. Natural FEEL – Your feet are supposed to FEEL the world. Our patented FeelTrue® soles give you just-right protection while also giving you the ground feedback that your brain and body want. 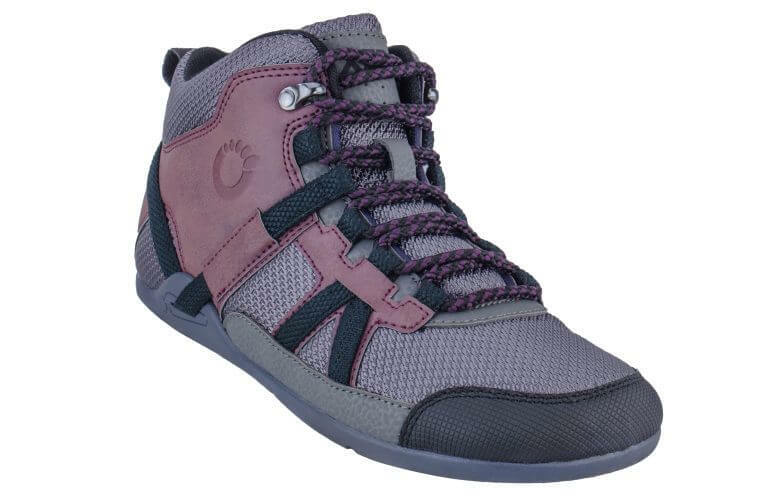 NOTE: The Daylite Hiker has a wider toe box than conventional women’s shoes. If your feet are particularly wide, consider the Men’s Daylite Hiker. Just make sure to adjust the size by 1.5 (for example, a men’s 8 is the same length as a women’s 9.5). What can I do in the Daylite Hiker? We know from experience that whatever we say here, people will ignore and they’ll do whatever they want in their DayLite Hiker. We designed the DayLite Hiker for the kind of journeys that most people take, most of the time — day hikes, non-technical trails, and even just walking around. While it’s not a “technical” hiker, the flexible FeelTrue® sole will let it tackle more than just a stroll. Check out the reviews to see what others are doing in their DayLite Hikers. What do those straps do? Like all our shoes, the DayLite Hiker has a “huarache-inspired” heel strap. You can tighten or loosen that to give a bit more (or less) support around your heel, which can hold your foot in place better. 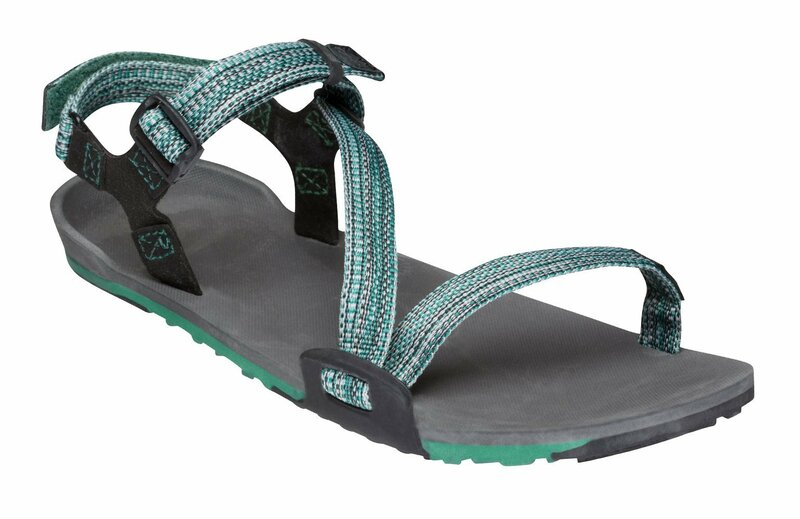 And like the Prio, the DayLite Hiker has independently adjustable instep straps. You can tighten the laces going through those “inverted V” straps to cinch the boot around your instep. This can also help keep your foot secure. Securing your instep (but not TOO much) can actually let your toes relax even more… experiment with the tension of these straps and see what you experience. What’s different between the Men’s and Women’s DayLite Hiker? We use “men’s” and “women’s” as a matter of convention. We know there are some men who will fit better in the “women’s” shoe, and vice versa. The “men’s” style is a bit wider across the toes and in the heel. The women’s, conversely, has a narrower heel and slightly less-wide toe box. If you’re a man with a very thin foot, or a women with a wide foot, you may want to try the “other” style. How do I find my DayLite Hiker Size? If you already have a pair of Prio, the DayLite Hiker fits similarly. If you have the Hana or Lena, you’ll probably want to go up 1/2 a size because of the difference in performance vs. casual shoes. If you plan to wear thick socks with the DayLite Hiker, you may want to add 1/2 a size to accommodate that. Is the DayLite Hiker Waterproof? It’s not fully waterproof — the tongue is independent of the rest of the upper — but the ballistic mesh upper is HIGHLY water resistant. Janice (here in our office) had to pour a bottle of water over her DayLite Hiker to remove… uh… something unpleasant… and her socks stayed nice and dry. To clean your Daylite Hikers, hand wash with warm water, mild soap and allow them to air dry. We do not recommend putting the Daylite Hiker in the washing machine or dryer. I love these shoes. They're so light I hardly feel them and the high tops help keep brush and stickers out of my socks. I love all my zero shoes so far. Thank you so much for the option to feel the ground while wearing shoes. I was really bummed that I had to change over to regular shoes from Xeros sandals when we got the first snow. So I ordered DayLite Hikers and it was the best thing I could have done. I got the comfort of natural ground feel and I dont freeze. Thank you! So far I'm very pleased with the DayLite Hiker shoes. I've only been wearing them around the house and it seems it will not take too much to get them broken in. I've been trying different socks and have yet to find a pair that feel 'right'. Looking forward to taking them for a hike. Just out of the box and wore them all day. This is my fourth pair of Xeros: To date, two pair of sandals, sneakers, and now these hikers. 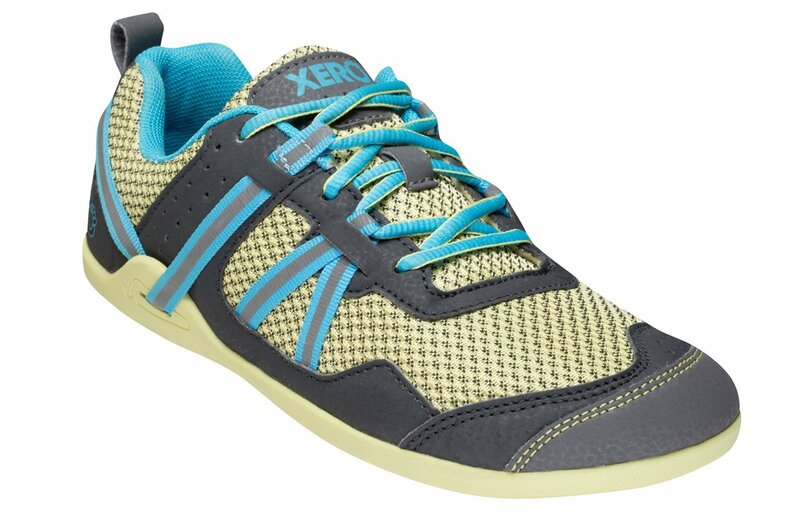 Also purchased some Xero hikers for son in law. After reading "Move Your DNA" by Katy Bowman, have gone to zero drop shoes with wide toe box. The shoes and the company are great! They're great! Very attractive. They look like regular boots. But wearing them is like walking barefoot! I am still getting used to them - they're extremely comfortable (think moccasin comfortable! ), but getting into them requires some wrangling & I'm trying to be careful not to squish the padding down when I try to put them on quickly. Luckily, t there are tabs at the back. I usually wear size 8 and I got size 8.5 because I liked the color that it was available in. So far they seem to be a pretty good fit, but I bet if I had been willing to sacrifice color, size 9 would have been even better! I’ve been wearing these shoes for over a week hiking in the mountains of Peru. They are quite comfortable. It’s the rainy season, and while these shoes are not water proof, they dry rapidly which is perfect. It’s been both hot and cold, but they seem to thermoregulate well, as in my feet are always a good temperature. 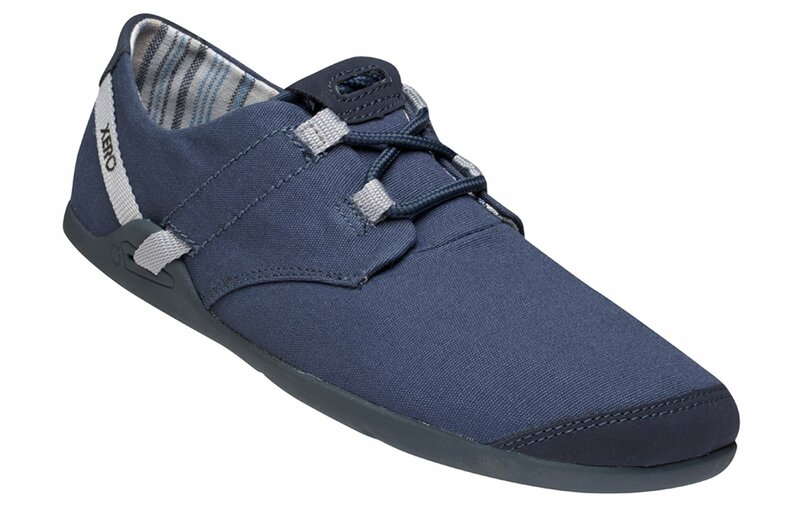 I love Xero shoes and these have been a great addition my other pairs I own. I have my new hikers, but, alas!!! it's winter time in northern PA and I can't check them out sufficiently yet. Wearing them a little bit in the house is pleasant - I can't wait to get them out on the trails! Thank you for comfortable feet. Happy New Year. These shoes have been great for hiking in wet conditions, stylish enough to wear out on weekend errands, and comfortable enough to wear all day as a teacher. Overall win!